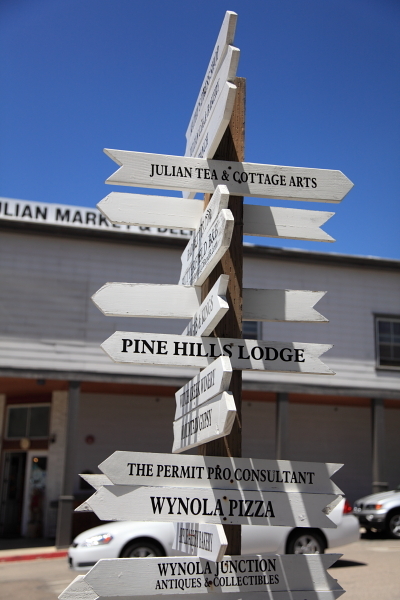 About a week ago we visited the splendid little town of Julian. 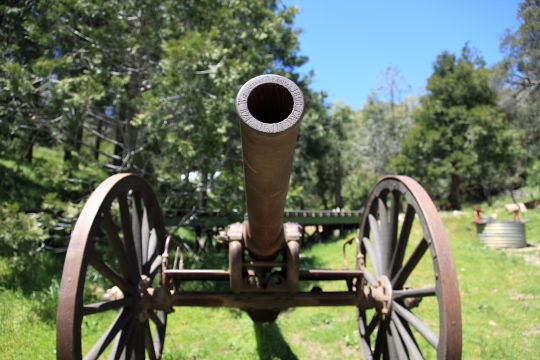 If you remember from our blog on Anza-Borrego we drove through Julian accidentally a few weeks ago. 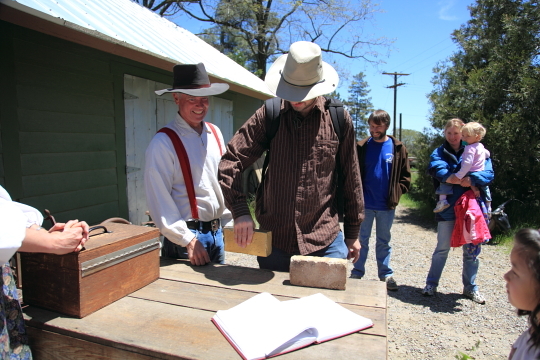 This time my friend Sarah and I planned a trip to Smith Ranch to take the Julian Train and Gold Mining Tour. Sarah brought along her husband and her two daughters and Bryan joined us as well. We met up in Escondido and we rode in their minivan along the 78 to get to Julian. The 78 is very much like a mountain rode, very windy and vomit inducing, especially in the third row of a minivan. Finding the actual ranch was a slightly confusing since there are no real signs. We drove down a tiny rode and found the distinguishing landmark that the website said it was near, the Mormon church. The ranch entrance was right off the parking lot. We had arrived early so we decided to go back into town and get some coffee and pancakes of course. 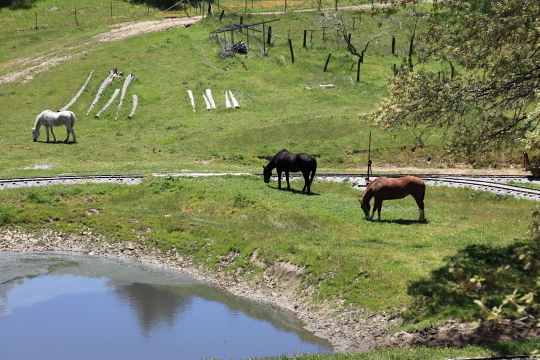 After our quick breakfast we drove back down to the ranch which was lush and green on this beautiful spring day. 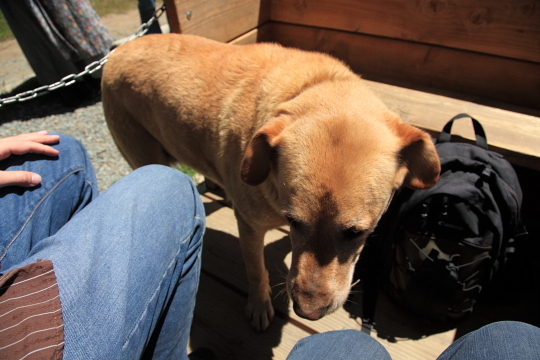 We were greeted by an over sized yellow Lab named Honey Dog. 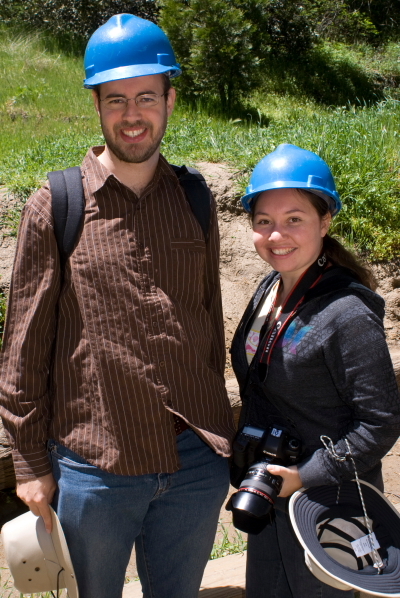 Our tour guides were a couple dressed in what can only be described as pioneer clothing named Mr. and Mrs. Smith. They led us to a small mining train which was being pulled by an electric mule. We were lucky enough to only have two other families join us on the tour so I group was pretty small. This tour is generally geared toward kids but nevertheless I was super excited to ride around on a train. On our way around the ranch we stopped at various spots while Mr. Smith explained the history of the area. 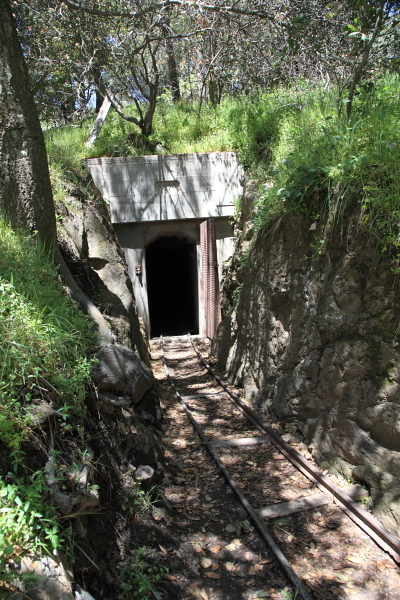 We stopped at the top of the ranch where the mine was located. 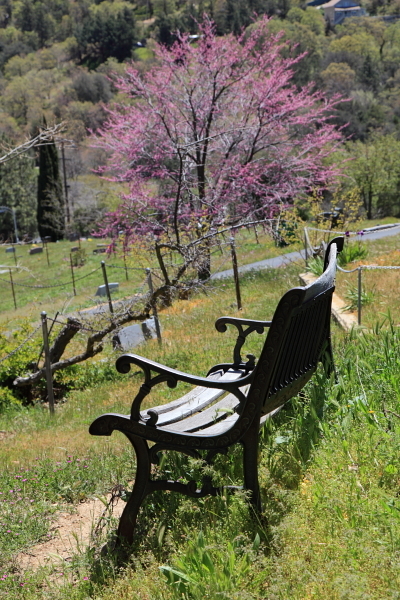 Mr. Smith said that when they first bought the property back in the early 90’s the mine was completely closed off and over the years he had managed to open it up again about 30 feet. He showed us an old mine car and explained how it was used to haul heavy loads. He then asked if anybody wanted to ride in the mine car, of course I volunteered but it quickly became clear that he specifically was asking the kids. I still argue that I am only 5 feet tall and could have definitely fit in with the others. He gave us all hard hats and led us into the mine which was very cool to see. 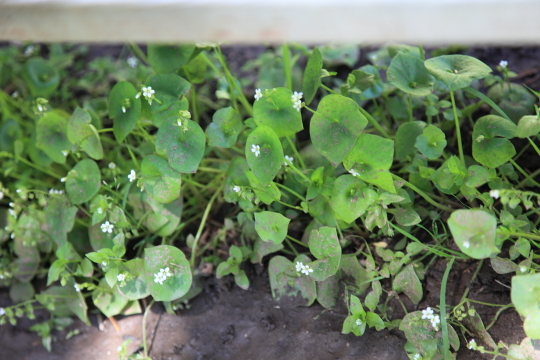 After coming out of the mine we met up with Mrs. Smith who showed us what miner’s lettuce looks like and told us to pick some and try it out. It was actually very tasty and it was abundant in the area around the mine. We then went down to pan for gold. Once the kids found their pieces of “gold” Mrs. Smith traded the gold for Red Vines, yes gold for licorice just like they did back in the day. 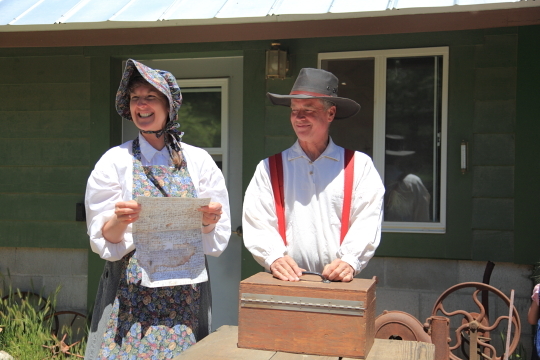 They then showed us a letter that was written by Mrs. Smith’s great uncle back in the late 1800’s and also explained the importance of the pony express back during that time. Mr. Smith also demonstrated why the pony express did not transport gold, one reason of course was the high probability of being robbed and the other reason was that gold is freaking heavy. He had all of us lift a regular brick and then lift a gold bar (lead bar spray painted gold) to see the difference in weight. 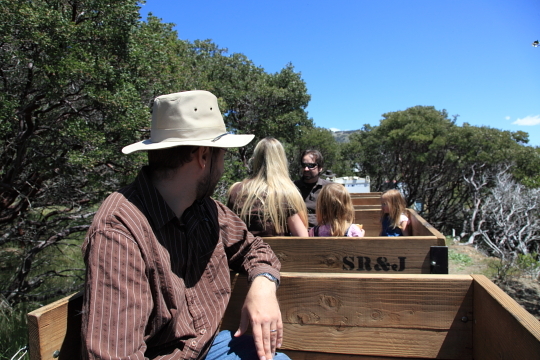 After this highly scientific experiment we got back on the train and went back down to the entrance of the ranch. Our tour had come to an end and it was time to explore Julian. We drove back down to the main street that runs through Julian. Despite being a very small town basically out in the middle of nowhere there are a lot of tourists walking around. 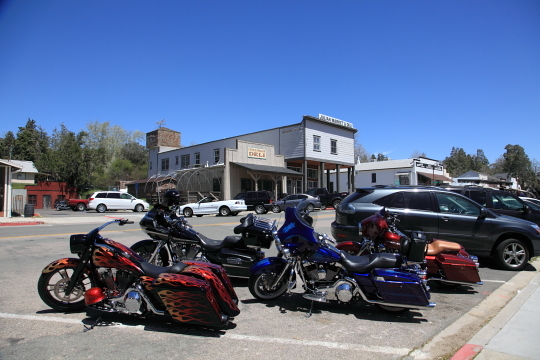 There is also a lot of bikers that like to pass through, there was almost more motorcycles than there were cars. As you would expect of any town that is a tourist trap most of the shops are filled with useless trinkets and Julian themed sweaters and magnets. We made our way past the crowds and found a cemetery at the end of the road which is always a good place to take photos. 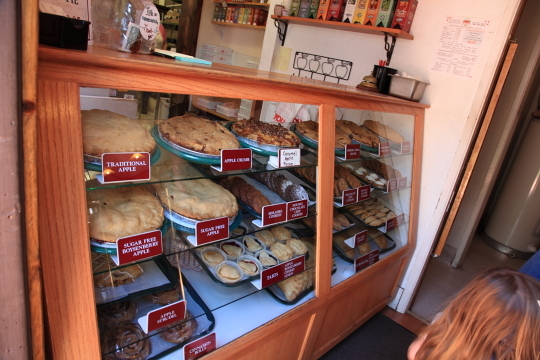 After exploring the cemetery for a few minutes we decided to find a pie shop. 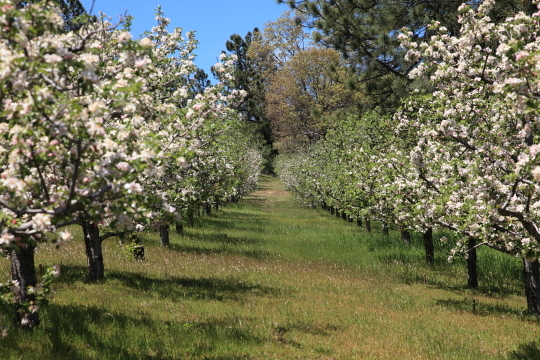 Julian is not only famous for being a mining town but also for it’s apple orchards. 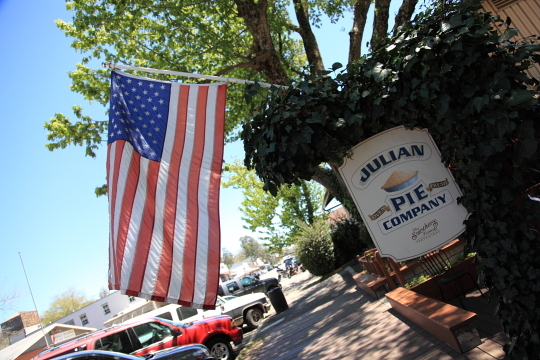 Because of this there are many pie shops in Julian that mostly specialize in apple pie. 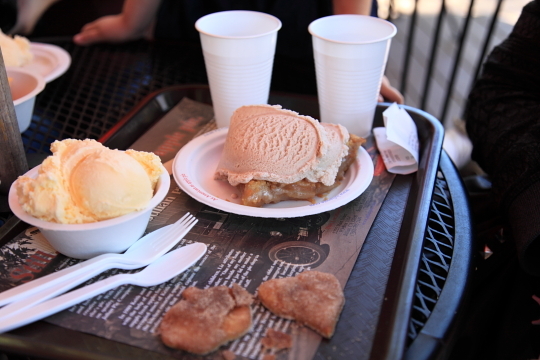 We stopped at the Julian Pie Company and ordered some dutch apple pie with a scoop of cinnamon ice cream. 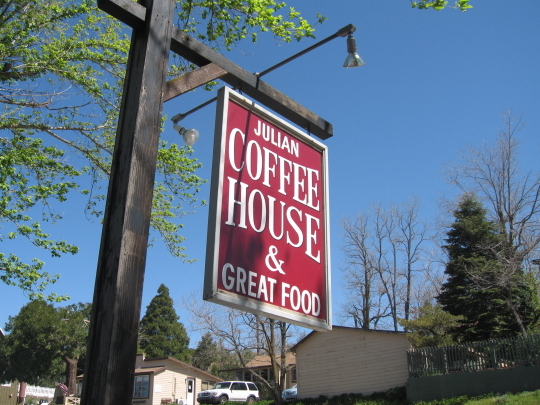 It was a delicious end to our visit to Julian.